Add a race-inspired look to the Hyundai Genesis by upgrading the factory headlamps with GP Thunder 3500K Halogen Bulbs. 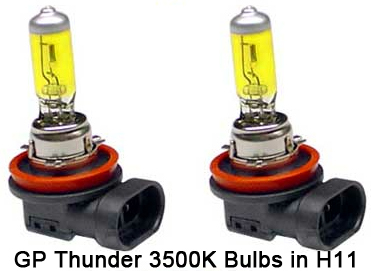 The GP Thunder 3500K Halogen Bulbs for Hyundai Genesis adds a new, aggressive styling while increasing driving safety. 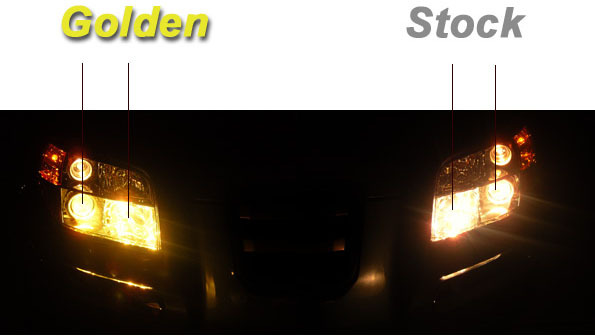 If you are looking for a way to add an extra subtle upgrade to the styling of the Hyundai Genesis, try upgrading the factory headlight bulbs with the GP Thunder 3500K Halogen Bulbs. With these bulbs you'll add a race-inspired styling to the Hyundai Genesis that will make your car stand out of the crowd. 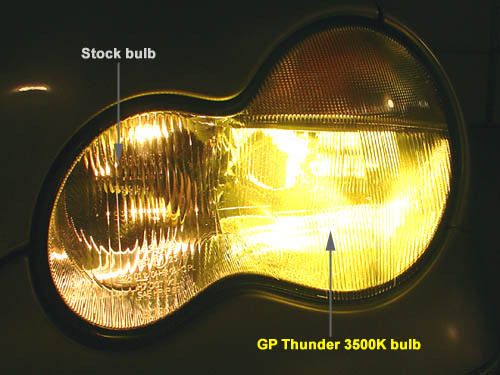 The GP Thunder 3500K bulbs have a golden-yellow light output that is perfect for foglights, but we also have fitments for the high and low beams as well. 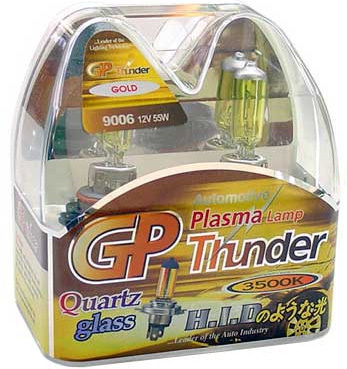 The GP Thunder 3500K Halogen Bulbs are a direct OEM replacement, so installation should be simple and fitment should be perfect. 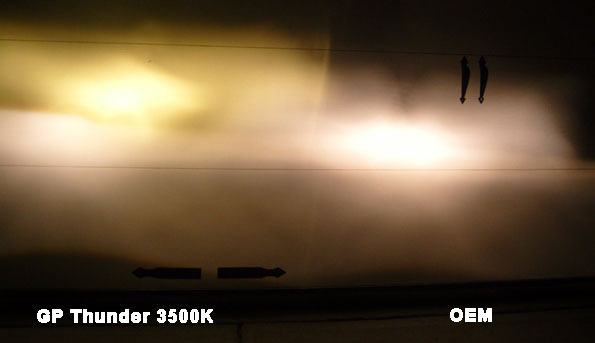 With the 3500K color temperature, your driving safety is dramatically increased, as this color temperature easily cuts through fog and other low-visibility driving conditions.